Epic Games' Unreal Engine 4, and all future updates, are now completely free for anyone vaguely interested in its Triple A design tools. Are you interested in being a game designer? While the undertaking is still a huge amount of work, getting started is far easier than ever before - thanks in large part to free engines and tools like Unity. But what if you want to work with the same cutting-edge, Triple A tech that powers EVE: Valkyrie or Street Fighter V? Now you can do that too, because Epic Games just released Unreal Engine 4 for free. That's not an exaggeration. Right now you can download Unreal Engine 4, one of the biggest Triple A engines on the market, and use it to design any for-profit game or film project of your choosing. The download includes all of Unreal Engine 4's source code, support for major platforms, and additional tools to build and ship games. In exchange, Epic Games will take a 5% royalty after the first $3000 you earn per product every quarter - which considering how much licensing fees used to cost is a remarkably solid deal. 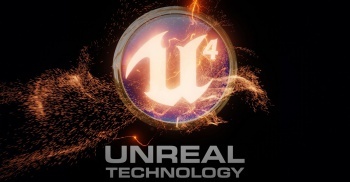 "In early 2014, we took the step of making Unreal Engine 4 available to everyone by subscription for $19 per month," Epic Games CEO Tim Sweeney wrote on the Epic Games blog. "We put all of our source code online, available to all who signed up. We flipped the switch and crossed our fingers. "The state of Unreal is strong, and we've realized that as we take away barriers, more people are able to fulfill their creative visions and shape the future of the medium we love. That's why we're taking away the last barrier to entry, and going free." While most Unreal Engine 4 games are still in development, it's still an incredibly impressive engine to work with. The value for students and independent developers alone is immense, while the for-profit market will likely net a tidy sum for Epic as well. Anyone interested in producing games and films - or simply wants to see what the fuss is about - can download the Engine right here.